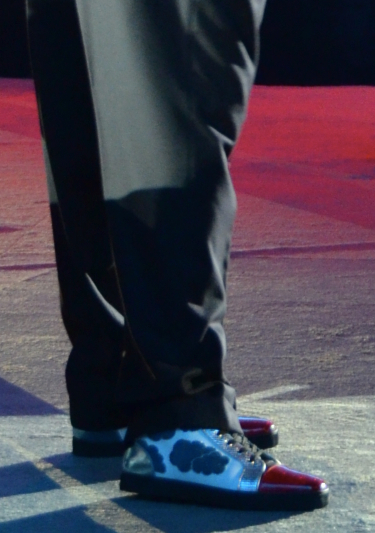 At Dreamforce ’13 Marc Benioff took to the stage with some amazing flashy sneakers. 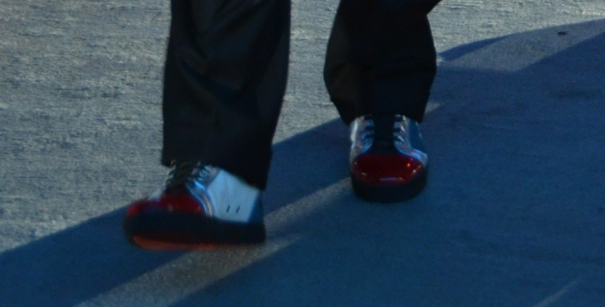 The red soles were a clue that he was wearing Christian Louboutin shoes once again. 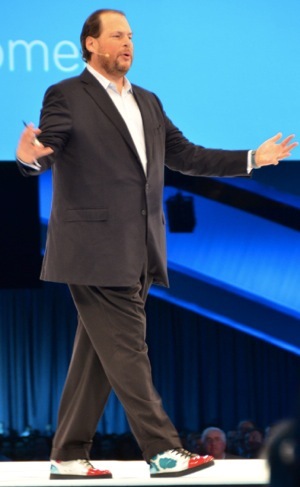 So let’s take a look at Marc Benioff ‘s "Cloud Walker" shoes in action during his keynote address at Dreamforce 13. 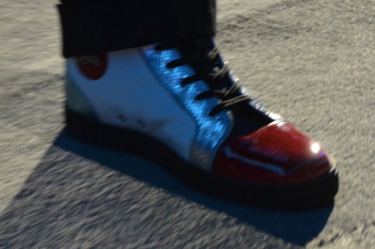 Security was tough this year, but I managed to get some closeups of Marc’s shoes. 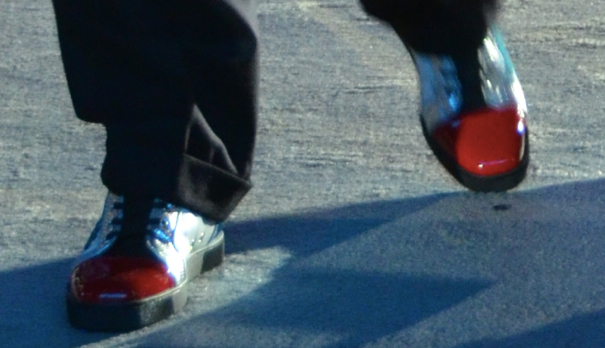 Looking at the shoes from the front you do get a bit of the red ruby slipper effect with the silver sequin. The outside sides definitely mimicked the Salesforce blue cloud logo. 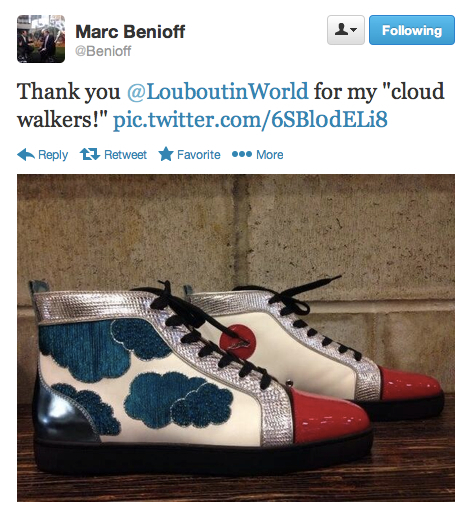 For those that missed last year, this blog post covers Marc Benioff’s shoes from Dreamforce 12. 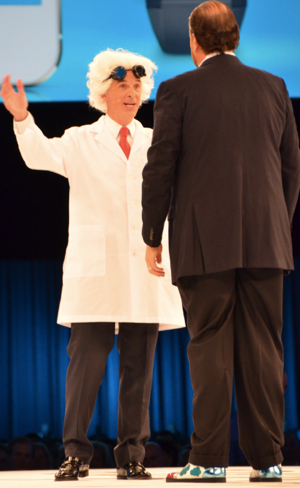 Yes, I took all the pictures while attending the keynote presentation at Dreamforce 13 (you get good seating as a MVP! ).